"I enjoy cooking with wine, sometimes I even put it in the food..." a famous chef Julia Child once said. Wine is used in cooking from the ancient times – literally from the first droplet ever produced. The wine was mentioned as ingredient in Homer's ancient Greek recipes as well as in later Roman feasts descriptions. And it is well known that the ancient Greeks and Romans had a passion for gastronomy. as a flavoring in a finished dish. Well, for those who have no experience in cooking with wine or simply don't have a courage to try it, here are some tips and tricks that have been given to us from Marina restaurant chefs. This is the first and the most important rule. Never, but really never use any wine you wouldn't drink yourself. If it doesn't taste good enough for drinking, it isn't good enough for cooking either. There are many so-called cooking wines available on the market. These wines are salty and include artificial flavorings. The process of cooking will only bring out the worst from their already bad taste and most likely ruin your dish. Of course, you don't need to use the premium wine. 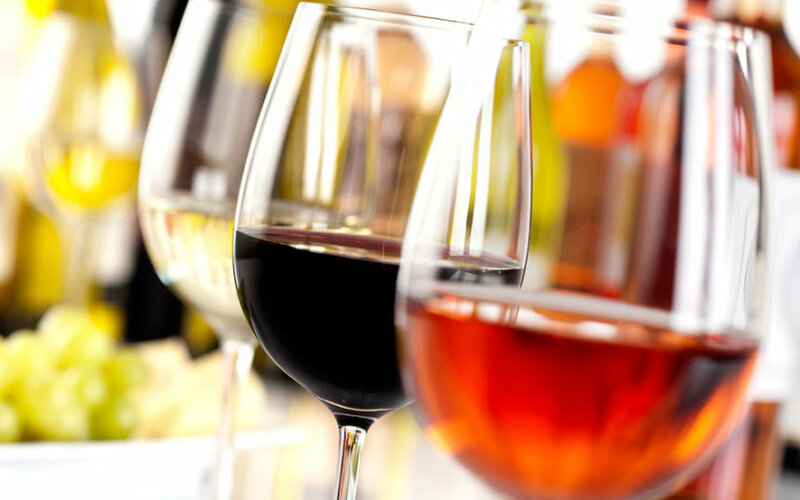 Choose a well-flavored, less expensive wine to cook with and save the better wine to serve. The function of wine in cooking is to enhance the flavor and aroma of food. There is no general rule for the correct amount of wine to use, but be careful – too little won't make any difference and too much will cover the flavor of the juicy steak. Neither extreme is desirable. You rather start with small amounts, and add gradually to adjust it to your individual taste. The wine should simmer with the food or in the sauce while it is being cooked. The alcohol in the wine evaporates while the food is cooking, which concentrates the acidity and sweetness, leaving only the subtle taste of wine to blend with other food flavors. Adding wine near the end of preparation or just before serving will result your dish to be too sharp and harsh. Wait at least 10 minutes, or even more, before removing it from the heat. Red wine contains large amount of tannins which adds it bitterness and complexity, so it goes well with red meat such as beef, veal, pork, venison and rich meat-based sauces. White wine is usualy used with light and delicate food such as chicken, seafood and fish. Drizzle the fish with white wine and bake it in a tin-foil package, or add some wine to a chicken while the dish is simmering. 6. Wine can be used for desserts, too! For certain types of cakes, using wine instead of some of the fat lightens up the cake and adds complimentary flavors. Red wine will enhance the flavor of peaches, cherries, coffee, oranges, berries and plums, while white wine goes perfectly with lemons, caramel, pineapple, melon and apples. use wine as a marinade – it softens the meat, and prevents the meat from drying out while cooking. The acidity of wine also helps to cut fat and oil. red wines are cooked for a longer period, then white wines. As the alcohol in the wine evaporates, red wine turns its color from purple to dark red, and only the rich flavor remains. And at the end, the last tip for cooking with wine. Have fun! Enjoy cooking with wine, be creative, and try to discover new flavor combinations. And if you suceed to create something extraordinary, don't forget to write down the recipe (feel free to share it with us). If you need more inspiration for cooking with wine, visit our Marina restaurant and try something from our menu. We can assure you that it's all delicious!